Watch Expo’s online watch store is guarded by the highest standard of data encryption and accurate identification technology available to ensure that your shopping experience is safe, simple and secure. We guarantee that when you communicate with us your personal information, including your name, shipping address and e-mail address, payment records, banking and credit accounts will be kept private and secure. This registration information is necessary for fulfilling your order online however, for your convenience, you may call us at 949-566-9006 during regular business hours to place your order. Our regular business hours are Tuesday thru Friday from 10am-6pm and Saturdays from 10am-5pm. Watch Expo respects, and will continuously guard, your right to privacy. Upon placing your order online, your personal information will be transmitted via a secured connection and encrypted only to be read by our private server. Subsequently, for your protection, just prior to the transmission of your personal information your browser will make a confirmed identification that communication is being made solely with Watch Expo. Only upon this authentication of a secure connection between your computer and Watch Expo will your order be placed online. Upon receipt, your information will not be accessible by anyone else online, and is held in privileged protection. Furthermore, information provided to us as a result of your online purchase is completely confidential, and will not be disclosed or sold to any other party. 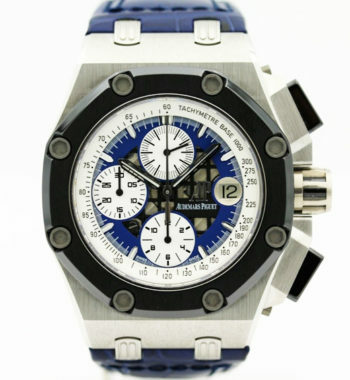 Every pre-owned watch is guaranteed to be genuine, and is guaranteed to be free from defects for a period of one year. 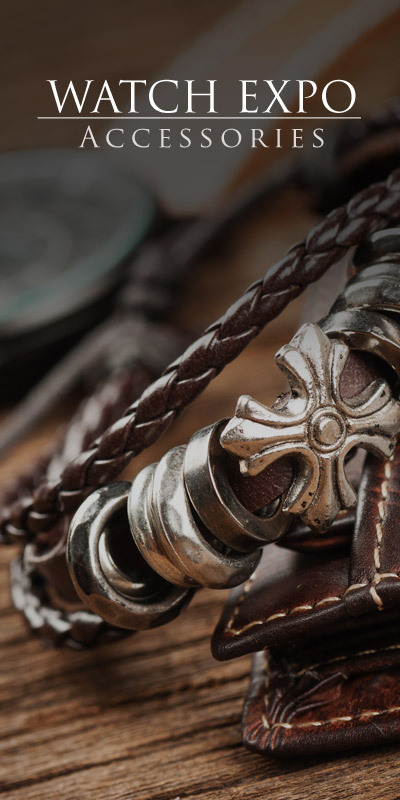 Watch Expo makes every attempt to make sure that the incidence of defects in our vintage, and pre-owned watches are low, by inspecting and testing every pre-owned watch we sell. 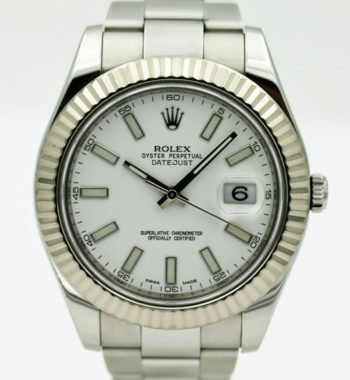 All new watches sold by Watch Expo are guaranteed to be genuine and in new condition and are also guaranteed to be free from defects for a period of at least one year. Watch Expo keeps detailed sales and service records so that we may better answer your questions regarding past purchases i.e. warranty work, insurance appraisals, etc. While the incidence of defects in new watches is extremely low, there may be occasions in which warranty work becomes necessary. In all cases, Watch Expo will expedite any warranty work to ensure a quick and timely turn around time. 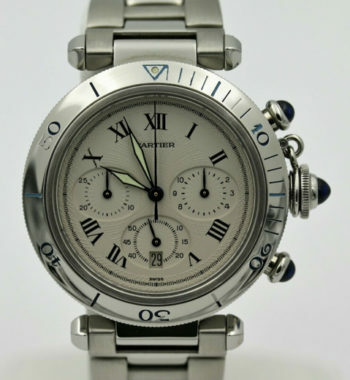 Watch Expo uses only AUTHORIZED service centers for the particular brand. Warranty does not include routine maintenance, such as cleaning or battery replacement. Water damage or damage due to neglect or misuse, is not covered by any manufacturer or by Watch Expo. Shipping charges to and from an authorized service center will be the responsibility of the purchaser. Watch Expo reserves the right to repair the watch as we deem necessary. Any work performed on a watch outside of an authorized service center will result in voiding our warranty on the watch. Additionally, any work performed outside of Watch Expo will be at the purchaser’s expense. At our discretion, we may authorize some minor work at an outside service but a purchase order must be obtained from Watch Expo in advance. Watch Expo offers a customer satisfaction guarantee or your money back. This policy means that if the item is not as described you will receive a full refund within seven business days, less shipping charges. In the event of the return of an item paid by credit card, the purchase will be fully refunded less the shipping charges and a three percent service fee. If the item is as described and you would like to return it you may do so within 7 days for a full refund, providing the item is in the same condition as received, less shipping charges and a $200.00 handling fee. Please note that special orders are a final sale and carry a No Return Policy. Watch Expo accepts most major credit cards, personal and cashier’s checks. We also accept bank transfers and bank wires.